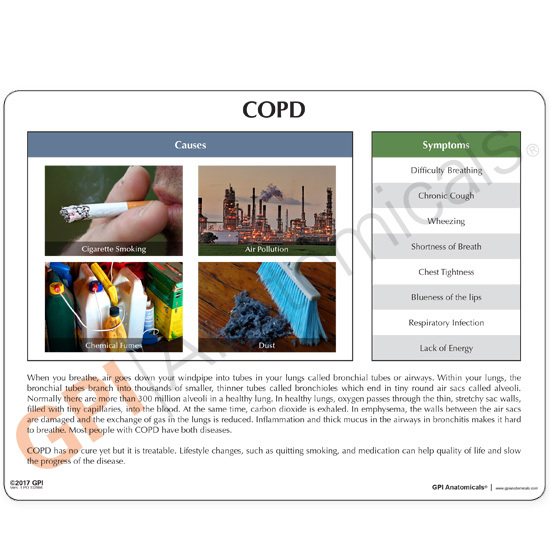 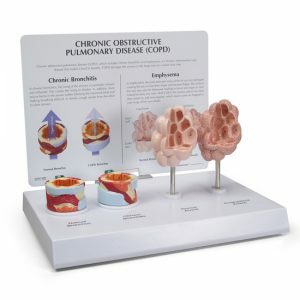 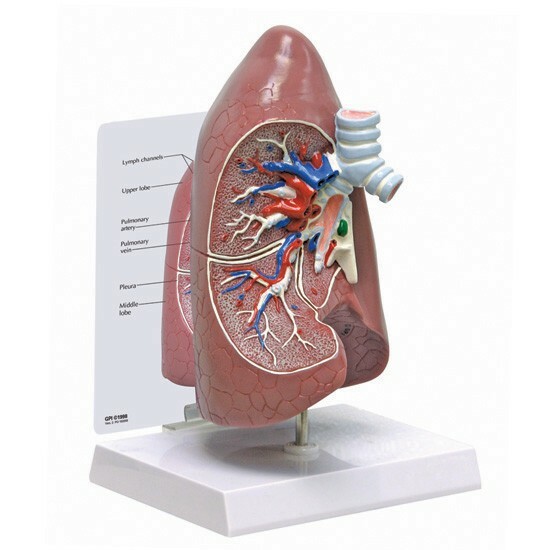 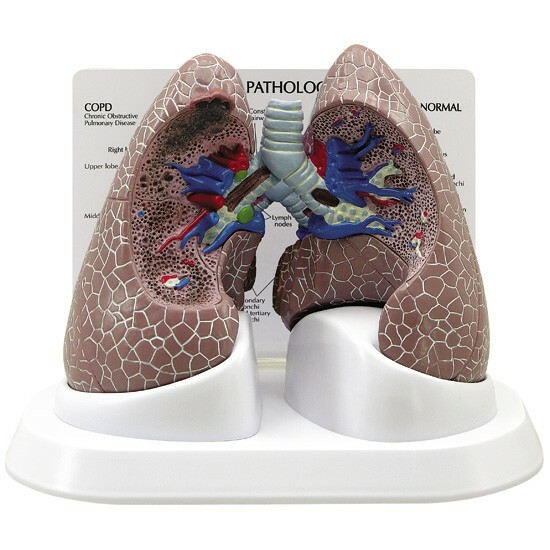 Enlarged, four-piece model showing the effects of COPD on the bronchus and alveoli. 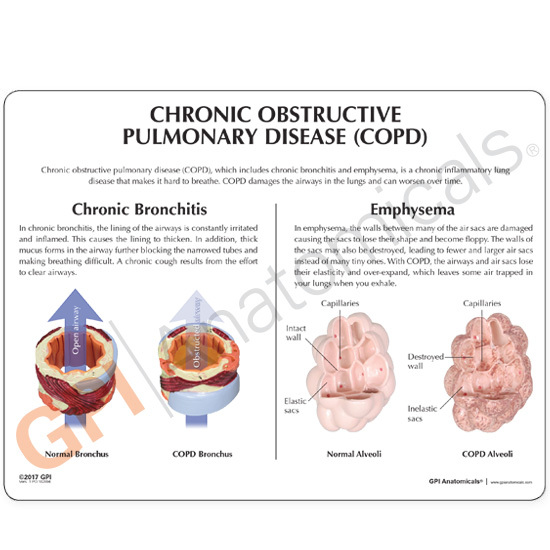 The bronchus cross-section shows a healthy bronchus and the mucus hypersection resulting from COPD. 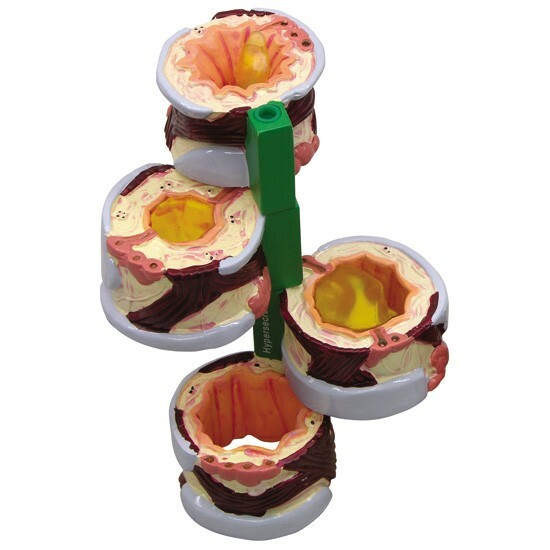 A healthy aveoli is contrasted with an emphysema aveoli with cross-section showing wall destruction and decreased, larger alveolar ducts.